For the determination of multiple parameters. Designed for rugged field applications in wet environments. 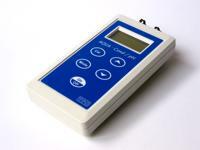 Measures pH, mV, conductivity, TDS, dissolved oxygen, turbidity and temperature. Data-logging: more than 5,000 data sets. GLP. 80 character display. RS-232 port. 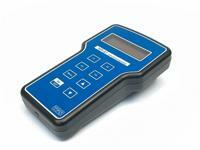 Handheld pH-conductivity-salinity-temperature meter with dual LC-display. Measuring ranges: 0 – 14 pH, conductivity: 0 – 20 mS/cm, -10 – +120°C. 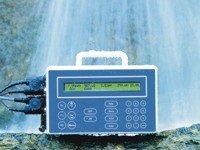 Waterproof handheld pH-mV-conductivity-salinity-temperature meter with 2x16 character LC-display. Measuring ranges: 0 – 14 pH, -1500 – +1500 mV, conductivity: 0 – 200 mS/cm, -10 – +120°C. Data logging up to 2400 records with date and time stamp (GLP). Upload of data to a PC via RS-232 interface (optional).